As we noted last week, Wi-Fi was the darling of this year’s APEX extravaganza. Why Wi-Fi? Recent surveys note that almost 65% of US travelers think it important that airlines offer Wi-Fi service on domestic flights. Half of the respondents also said they would not pay for the service and a quarter said they would pay up to $5 to get email. While existing equipped planes see from 4% to 8% utilization, we expect the price to drop and the utilization go up. We also anticipate more inflight purchases as travelers are more willing to pay for goods and services on their own device. After all, they do it on the ground, so why not in the air? On to some show highlights. We snagged a short half hour with Inmarsat and discovered a new product rushed to market called SBTV. The system/service, under David Coiley, is designed to deliver real-time TV and near live news to passenger devices. As we understand it, the laptop-sized portable device will be brought onboard each flight, hooked in and connected to passenger devices on the plane. We also understand the Swift Broadband connected device has been performing quite well in actual tests and will be coming to market soon. Brought to life by LiveCast, a technology company in Canada, the science has been on their radar for almost ten years and from the demo we saw, it was gorgeous. Interestingly, there are no apps or drivers involved at the user end, Wi-Fi is the conduit, and frankly, we don’t know how they will serve a plane full of passengers but more on that in the future. The system features live television on-demand and airlines can customize the service by route, region or time of day, and passengers can use their laptops and Smartphones as the receiver. Inmarsat see’s the rise in on-demand services and plans to capitalize on that market model. In the last year alone, on-demand services climbed almost 18%. With over 11,000 aircraft (commercial, business, military and other) using Inmarsat services, it seemed natural that an add-on device for passenger entertainment. In a meeting with digEcor, we met their new Marketing Executive, Ben Fuller who is helping refocus the portable IFE company. We understand they are working with Samsung for future products and are looking toward the inclusion of casino gaming for use in countries where approved. We also understand that they have a streaming solution available on both Android and iOS. Stay tuned on this one. 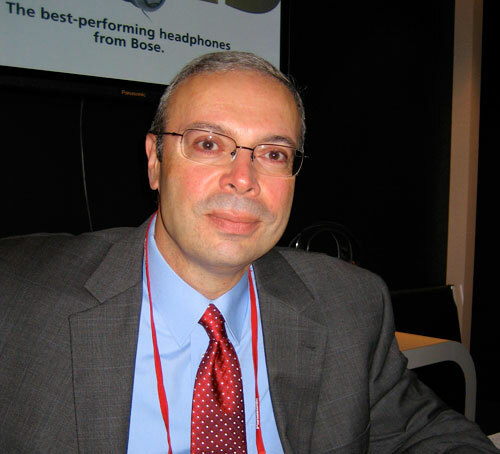 We are always pleasantly surprised by the BOSE products and this visit with Hratch was no different. In the past, the QuiteComfort series has been the gold standard for travelers everywhere – check out passengers on your next flight. 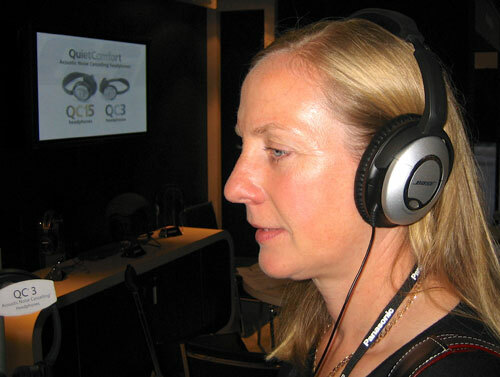 Now, the QuietComfort 15 Acoustic Noise Canceling headphones are even better. IFExpress tried them and they now seem to have another few db’s of noise suppression between the new cushion material and the electronics – not to mention the remote mic and control switch. And if your idea of fun is running around a track with your iPhone plugged in, we suggest their SIE2i headphones with remote mic and control – they have to be the most comfortable design ever! This week’s IFEC Buzz features industry newbie, Rodney Brown from SmartJog, a leading provider in the electronic service industry. Think encrypted file transfers almost anywhere in the world. You might checkout their new cloud-based file transfer solution called “Bolt” – requires no special hardware! Rumors, Rumors, Rumors – Sadly, we hear Terrence Bonar’s AIRVOD has filed for liquidation. 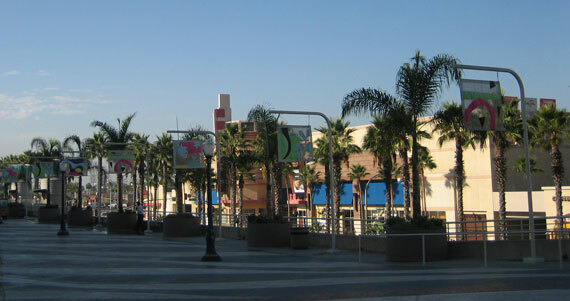 The APEX conference and exhibition in Long Beach this year really looked like the industry turnaround it was projected to be. More new technology, more new IFEC ideas, more players and yet if IFExpress was to use one word to describe it, it would be “Crossroads”. Why? The opposite pull of installed aircraft entertainment systems versus that of passenger carry-on devices like smartphones, iPads, tablets and electronic readers of all description – B.Y.O.D. (Bring You Own Device). The airlines are at a real decision point. Do we install seatback/overhead IFE or do we cater to the “always connected” generation? To point out the obvious trend, one study claims some 31% of US commercial aircraft are already Wi-Fi equipped while our own analysis put the worldwide market at approximately 10% of the commercial fleet outfitted. Whatever the actual trend is, there is no denying that more passengers are carrying devices that inform, entertain, update, and instruct than ever before. Thus the conundrum – do we serve full screen, first-run video to passengers, or do we change the business models and deliver content to their personal devices, or do we do both? Intel – “On the Road Strategy” – Ulmont Smith, VP. Heading for 14 nm integrated circuit technology (22 nm today), Mr. Smith noted that over 100 million 22nm transistors can fit on the head of a pin and that today’s 22nm CPU’s can run 4000 times faster, consume 5000 times less energy and the cost has dropped 50,000 times. What this means is value to the technologies they support, one of which is connected automobiles. He noted their global GENIVI Alliance goal to establish a global LINUX-based OS platform for automotive vehicle infotainment. He also opened the door for BYOD (Bring Your Own Device) as a driving force in our industry. Further, the Intel Insider architecture is coming online for end-to-end hardware protection for movie and TV content. Phillips – “Overall Ecosystem Consumer Perception” – Michael Held, design Manager. Ecosystems like Apple and Nike provide a natural connection between “varieties of content to a variety of receivers” – in their words “One Platform to seamlessly manage, aggregate, create & edit, subscribe and publish.” Michael went on to define why Ecosystems work and how they can add value in businesses. Using a product example, he showed the success of Apple Ecosystem impacts on sales. More importantly, his lessons learned could benefit almost any endeavor – focus on the passenger, in a networked world distributed decision making rarely works, platform evolution and continuous improvements are expected today (change), collaboration has never been more important, there are no standalone products anymore – only experiences, people don’t buy systems! CISCO – “B.Y.O.D. – Potential in Aviation” – Ted Nugent & Leszek Izdebski – Cisco Systems. Focusing on the open Cabin Network and closed Cabin Staff Network CISCO focused on the passenger access requirements including authentication, auditing, disclaimers, and monitoring. Importantly the speakers noted the requirement for no reconfiguration, plug & play, easy administration… and free (or cost effective). The architecture was identified along with security (keeping good guys in and the bad guys out). From a data perspective, the shift to streaming video is driven by consumer behavior with the new tablets and phones being part of the incentive. A very interesting connection to loyalty programs was introduced and this is perhaps the first time we see that frequent flier miles used as payment for entertainment. Another new word heard is UltraViolet usage model. Described as a new way to collect and enjoy movies and TV show in the cloud. It is the next-gen of a standardized media product… an Ecosystem to watch. Further, to meet passenger future expectations, there will be a change in the technical solution for delivery of IFE, and a concurrent change in the business model. Ericsson – Geoff Hollingworth – Business Innovation. One of the best quotes found at the show was discovered on Mr. Hollingworth’s slides; “When one person is connected their life changes. When everything is connected our world changes.” He describes the new telecom cycle (their Ecosystem of the connected world) and described the interplay between a 10X increase in devices and the resultant 10X growth in supporting industries. The key concept is managing the change. He noted Maersk Shipping uses connected technology to save millions of dollars in fuel. If you are a competitor to Maersk, your company has to find a way to save that kind of money and thus your company will change as well. The message – change begets change. The message? One airline that uses connectivity to change for the better will assuredly drive change for another(s). Editor’s Note: Peter Lemme’s (AirCloud CTO) presentation on “Wireless Streaming Video Technology to Your Own Device” is a tour de force for the subject and we strongly recommend reading it. We also note that there might be a technology or two we saw at the show that will add to his list of ‘usual suspects’. We have a new feature for you – we call it IFEC Buzz. During APEX, we took pictures of a few industry notables and will give them a chance in future issues for their 5 minutes (or less) of fame. Our editor requested one succinct sentence about the industry from many show goers and will publish it under their photo and Trish – Editor of IFExpress – launches the feature this week. Stay Tuned on this one! Additionally, you can view our show photo coverage on Flickr. And last but not least, don’t forget AIX North America in Seattle this week! It runs through Thursday 9/27 at the Seattle Convention Center!! Product/Service: Full service content software platform, content management & merchandising/programming services, commerce, couponing, retailing, destination guides. Description: AirCloud, Inc. (AirCloud™) is a full-service software and content services company that provides a personal entertainment and commerce experience for users that is sent directly to any mobile smart device, tablet or PC. Editor’s Note: Peter Lemme will be presenting the technology road-map enabling streaming content wirelessly to personal devices. Description: Specializing with Video Monitors. 8” through 65”, Composite, VGA, High Definition Monitors. Description: On display will be Astronics latest intelligent USB charging system providing passengers the ability to charge their carry on devices such as Smart Phones, Tablets PC’s and iPad’s. Description: Premium noise reduction headphones that help deliver the full benefit of the IFE system and enhance the overall inflight experience. 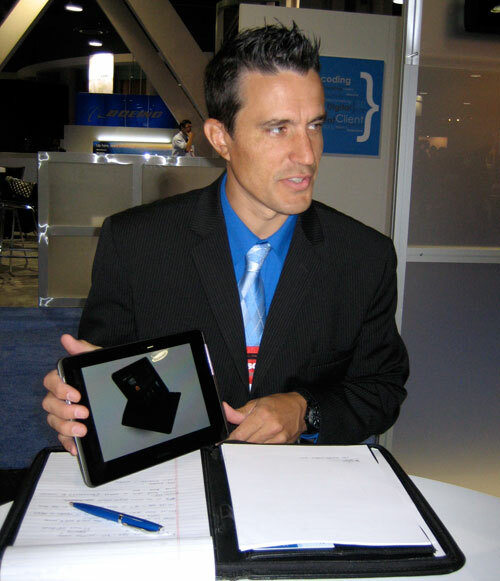 Description: Come see what’s next from the handheld IFE pioneer. Debuting at the APEX event in Long Beach – Booth #533 – is the all new digEtab featuring the Samsung Galaxy Tab 2 with an extended battery life and ruggedized case, our intuitive content streaming solution and user interface, an efficient media management suite, as well as our legacy line of portable products including the L7 and L10 digEplayers. 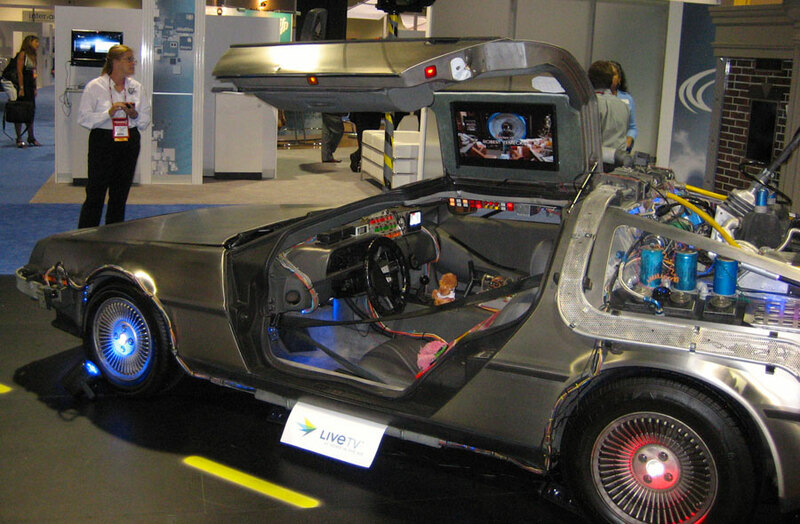 Product/Service: IFPL specializes in tailored engineering solutions for the Global Passenger Entertainment Industry. Description: Probably best known for our highly reliable and efficient audio jacks. We are now exited to be able to show our latest products; the Self-Testing jack, Breakaway jack and Near Field Communication. Description: RAVE – the award winning seat-centric AVOD system providing the latest features for passengers, crew and maintenance. RAVE is designed to deliver the highest reliability in the market, with a system price that is about half the cost of traditional IFE systems. RAVE has been selected by eleven airlines and is already flying and fully certified by both EASA and the FAA. Description: Inmarsat, the only provider of global mobile connectivity, will be provide updates on SwiftBroadband and GX Aviation, the state-of-the-art satellite services specifically designed for consistent, reliable, communication for airlines and their passengers. Description: LiveTV is a leading IFE&C provider of live television and connectivity including Ka-band broadband which will launch late 2012. Description: Lumexis provides FTTS® and WiPAX™ – the world’s lightest and lowest cost embedded and wireless IFEC systems. Description: OnAir’s products enable passengers to use their own mobile phones, smartphones, tablets and laptops in exactly the same way as they do on the ground, either through the onboard GSM network (Mobile OnAir) or the onboard Wi-Fi hotspot (Internet OnAir); OnAir is the only provider to offer consistent global coverage for both inflight GSM and Wi-Fi, thanks to over 80 regulatory approvals and more than 350 roaming agreements. Description: Panasonic Avionics designs and implements innovative IFEC solutions that strengthen the connection between the world’s airlines and their passengers.Our solutions have the power to increase the value of an airline’s brand, foster passenger loyalty, produce additional ancillary revenue and reduce operating costs. Description: Rockwell Collins’ PAVES™ 3 provides overhead broadcast video, in-seat audio/video and applications on demand. Description: Row 44 is the first inflight connectivity provider offering live television aboard commercial flights to passengers’ Wi-Fi enabled devices. Description: Thales is a leading provider of both TopSeries® embedded and wireless IFEC systems that are supported by digital media services and a global support network. Description: TriaGnoSys develops advanced software for satellite communications, and has recently been become an approved Design and Production Organisation, offering the smallest, lightest airborne hardware for the complete suite of inflight connectivity and wireless IFE functions. Description: Miltope’s family of aviation network products offer the required functionality necessary to create custom airborne networks similar to how office networks are created. Editor’s Note: We look forward to seeing many of you during APEX. If you need to reach us our contact info is: Terry Wiseman | Publisher – 206 229 7890 or Patricia Wiseman | Editor – 206 229 7899. 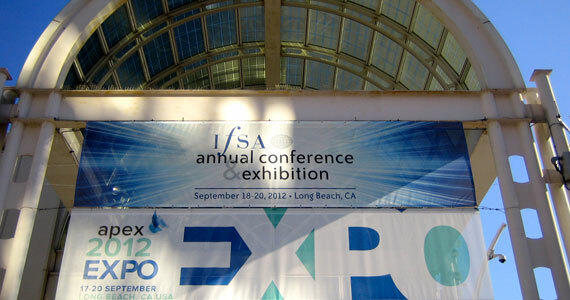 Knutsford, Cheshire, UK | September 4, 2012– IFE Services, the leading in-flight entertainment (IFE) provider, is exhibiting at APEX EXPO 2012 next month in Long Beach, California. APEX EXPO is a four-day premier event committed to elevating the airline passenger experience around the world. This year, around 200 vendors will showcase their products and services to executives from over 100 airlines. Exhibiting on Booth 351, the content service provider will be showcasing its IFE solutions for embedded, streaming and portable systems. The company’s services include the licensing of movies, TV programmes and music as well as the production of safety films, promotional videos, GUIs and pre-recorded announcements (PRAMs). This year the IFE specialist will also be focusing on its new in-flight gaming offering and the move from analogue to digital IFE. The event, which runs from 17th to 20th September, will incorporate educational sessions covering IFE wireless streaming, casual gaming, connectivity and trends in passenger behaviour. The Passenger Choice Awards will recognise airlines delivering the best passenger experience and a series of networking events are being held to help delegates build business relationships and strengthen partnerships. This week’s ‘Speakers’ Corner’ feature comes to us via Dominic Green. The author is the APEX Events & EXPO Chair, Awards Chair, Secretary and Board Member. 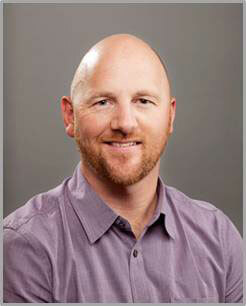 He is also Senior Director for Client Services at Spafax. “You can already hear the planes revving their engines. Airlines large and small, as well as airline vendors and entertainment companies of all types, are poised for a yearly gathering like no other. 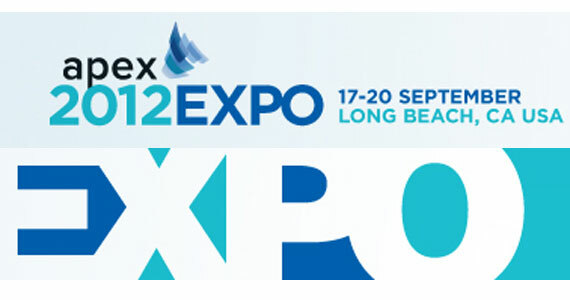 The Airline Passenger Experience (APEX) EXPO will be held 17 to 20 September in Long Beach, Calif. USA. This highly anticipated global event – which this year will be co-located with the International Flight Services Association (IFSA) – is your chance to learn from industry leaders about emerging trends affecting the airline passenger, including connectivity, social gaming and how an influx in passenger choices are shaping how we do business. The EXPO is also the place to observe firsthand the latest and most comprehensive display of airline related technologies, products and services. The overarching goal of this EXPO is simple: to improve the passenger experience. 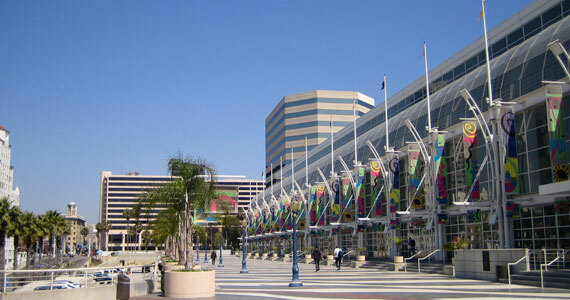 All attendees – vendors, exhibitors and buyers alike – have reason to attend the annual APEX EXPO. Attendees can meet with colleagues and grow their networks by discovering who’s who in every facet of the airline industry. While doing business is a primary reason many participants fly in from every corner of the globe, the APEX EXPO also provides unique opportunities for companies to learn about airline entertainment trends and developing technologies. •	Technology. Technology is not only shaping how airlines and vendors conduct business, but it’s transforming how passengers actually experience air travel. This track of educational sessions is designed to evaluate the technologies in-depth. Speakers will discuss technical issues related to payment technologies, software management equipment, file delivery, connectivity and other major changes that are affecting this industry. •	Improving Travel. Gone are the days of boarding a plane and sitting idly for three or four hours staring out of your window. Today’s traveler demands more, and it’s our job to give it to them. When we think air travel, we now think gaming, checking emails, doing business and enjoying the flight. Attendees who choose this track will learn about cabin operations, content vendors and connectivity. We’ve even included a fascinating session related to passenger tastes – you read right, tastes – and how actual flavors can craft the overall experience and leave passengers salivating for more. •	Wireless. Just five years ago, this would have sounded more sci-fi than reality. But passengers have grown accustomed to Internet access wherever they are – at home, in the office, in the car and even 30,000 feet in the air. These sessions are sure to be popular as attendees will learn about various wireless platforms (laptops, tablets, smartphones, etc.) as well as the logistical and security issues posed by widening options for passengers. Speakers will also discuss issues related to bandwidth limits and how Internet access may be used inflight. In addition to enlightening presentations and discussions, we will honor airlines and vendors during our annual APEX Awards Ceremony. The Passenger Choice Awards are based on individual votes submitted online by members of the traveling public, and the Avion Awards recognize significant achievements in general and in technology. We also will present the Lifetime Achievement Award to a deserving APEX member who has made significant contributions to the organization. We encourage you to take full advantage of our packed agenda and start scheduling meetings with colleagues, airlines and vendors before you go. And remember, APEX members will have the chance to rub elbows with industry leaders at a specially designated networking event hosted at the Museum of Latin American Art. Registration can be completed here, so make your reservations today. For more information about APEX or the EXPO, please visit www.apex.aero. IFExpress: In case you want a few more good reasons to attend, here they are – What’s Trending, Party With Your Competitors, Rumors, People Data/Help Wanted, Hot Content, What Works – What Doesn’t, You Paid How Much, Seeing People Who Really Count In Your Life – and we are sure you have your own reasons! Lastly, a correction for last week’s IFExpress and apologies to Inmarsat. Global Xpress, Inmarsat’s 2015 worldwide data connectivity solution is comprised of satellites operating in the Ka microwave frequency band (26.5 – 40 GHz).